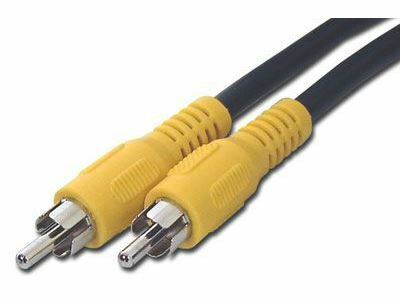 Computer Cable Store™ high performance RCA type Video cables are excellent for connecting DVD or other video devices to your television. The yellow colored boot provides for easy identification and installation. These cables are shielded to prevent unwanted noise and distortion. Perfect just what I needed. Very easy to figure out. Shipped quickly.